What Should You Expect from Contract Packaging Services? Producers, processors and wholesalers each turn to contract packaging companies for help bringing goods to market. Through partnerships with custom product packaging providers, diverse brands maximize their presence in the marketplace, benefiting from innovative, turnkey retail packaging services. The key to contract packaging success is selecting a packaging company capable of guiding projects from start to finish, using cutting edge methods and materials to achieve results. The size and scope of each packaging project is unique, so flexible solutions are required to maximize the impact of each effort. By managing the contract packaging supply chain from start to finish, experienced turnkey providers streamline the process, avoiding piecemeal failures. Experience serving widespread industries and familiarity with prevailing best practices are hallmarks of an effective contract packaging provider. By staying true to these fundamental features of contract packaging services, proficient packaging companies get the job done right – the first time. Design Consultation – As much as packaging protects goods during shipment and display, it also serves a vital merchandising function, calling consumers’ attention to distinctively packaged brands. 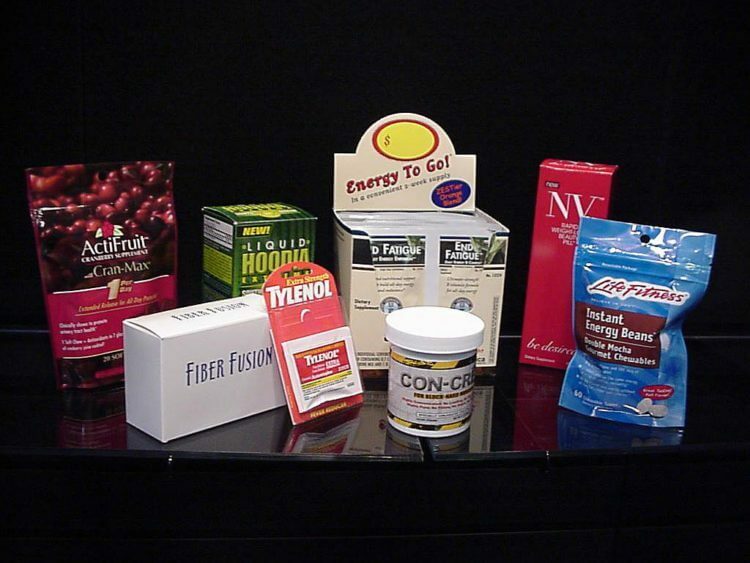 Retail packaging materials need to be trend-forward and relevant. Up-front design support from an experienced packaging professional will help guarantee that your custom solution is consistent with the industry your product represents. The material selection, structure and graphic design all play a huge role in successful retail presentations. Innovative Solutions – Packaging is an extension of brand image, furnishing marketing opportunities and advantages for well-executed campaigns. The most successful turnkey packaging companies offer flexible options, incorporating state of the art materials and strategies into each project. Unique shapes and sizes, combination packages, and other innovative approaches add to the stable of stock packaging offered by contract packagers, expanding the possibilities for manufacturers and retailers. Meeting Packaging Guidelines – Consumer goods fall into countless retail categories, each with its own set of packaging requirements. Food packaging, for example, responds to merchandising needs, but it is also subject to regulations and shelf-life concerns. As a result, failing to precisely meet project specifications has catastrophic consequences for producers partnered with an inexperienced packaging provider. Contract packagers equipped with proper facilities and certifications maintain integrity throughout the process, satisfying the many demands of the FDA and SQF auditors. Turnaround/Responsiveness – Timelines vary between contract packaging projects, accounting for hard deadlines and reorder schedules. Efficiently coordinating fulfillment and logistics is an essential feature of any successful packaging effort. Working with a responsive and accessible packaging partner can prove invaluable. Meeting project deadlines are heavily contingent on proper planning. This all starts with solid communication and good organization. Dedicated Project Management – Continuity ensures timelines and project specifications are not compromised as a packaging project unfolds. Inside sales coordinators and account managers provide direct points of contact, accommodating midstream changes and other concerns arising during fulfillment. A seasoned project planner can anticipate manufacturing pitfalls and avoid costly mistakes which save time and money. Price versus Value – In addition to flexibility and consistency, effective packaging companies furnish value in the services they provide. Local material sourcing, for example, adds savings to each product packaging campaign. And conveniently located facilities – preferably more than one, help contract packagers fill orders efficiently. Well-established packaging companies also offer comprehensive logistics management services, leaning on industry connections to ensure packaged goods move efficiently throughout the supply chain. Find a one stop shop that has experience in managing the supply chain for you while you spend your time marketing and winning new customers at retail. Packaging success relies on creative methods and cutting edge technology. The right contract packaging partner will save you time and money all while being fully aligned to their capacity, capability, innovative spirit and commitment to success.